Urbio is a recyclable product that is made out of a light weight, and durable, polypropylene plastic. 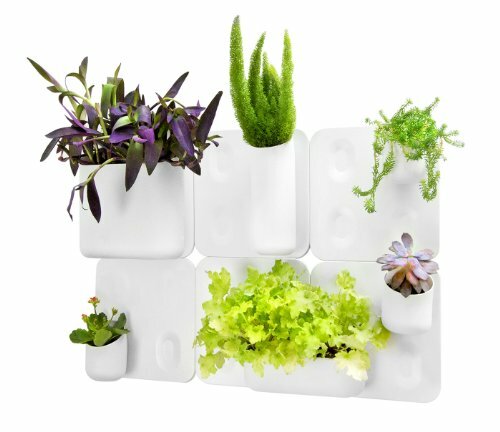 Made with uber-strong neodymium magnets, and a variety of vessel sizes, Urbio is a diverse and dependable solution for urban gardening and small space organization. It's Versatile: Urbio can also provide a vertical solution for all types of organizational needs within your home! If you have any questions about this product by Urbio by Honey-Can-Do, contact us by completing and submitting the form below. If you are looking for a specif part number, please include it with your message.